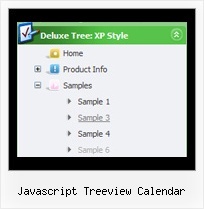 The template emulates emulates MSDN Library look. To open submenus click on menu items. Q: How to select a different background (colour or images) in the link drop down menu? oryou can use images instead of icons (you should delete item's text). A: You should turn on "Tools/Use utf8 encode" property. In that case your data file will be saved in UTF-8 encode. Enter these symbols and save your data file. change your letters in any text editor. Q: I want to separate the main items with an image in the website navigation bar. Q: Ok I found the problem. When I make var floatable=0; dhtml flyout menu stays perfectly on the top as before but when I change it to var floatable=1; then it stays on top when the page loads but moves down when the page fully loads. A: There are additional parameters for floatable feature in v3.2 now. You can find them in Deluxe Tuner. These parameters set minimal space for widow border.